This is a worksheet that I use with my 5th when we review the end of our unit dealing with multiplying and dividing fractions, along with mixed numbers. 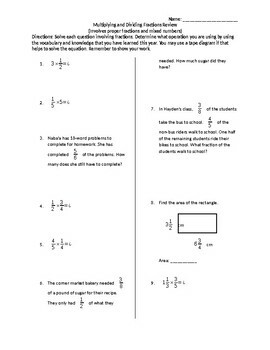 I also use this worksheet when I am reviewing for our state test. Kids love the questions and likes being able to work on their own or with a partner to share their ideas.